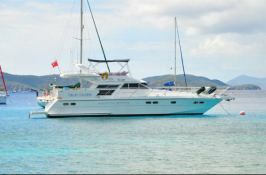 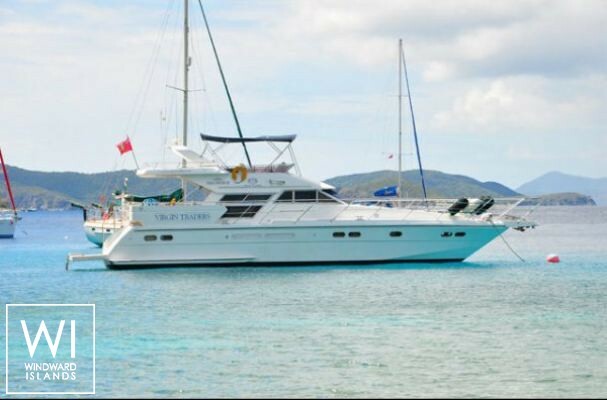 Available in British Virgin Islands, this bareboat motoryacht Horizon 56' (4 double cabins), built in 2000 by Horizon, is capable of hosting up to 8 guests and can reach a speed of 15 knots. 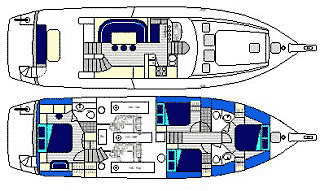 Further more, and for a complete motoryacht charter experience, Horizon 56' comes with 2x450 Hp engines. 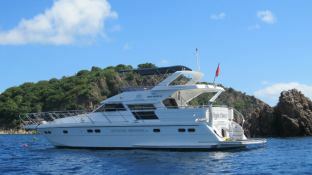 This motoryacht is available for yacht charter with a base price of 8 900 $ (approximatly 7 892 €).